The Women’s Care Center is having an open house from 1-4pm on Saturday May 19th. I haven’t been there so this may be a good opportunity. This is the new crisis pregnancy center that has recently opened right next to the Planned Parenthood abortion clinic near MATC. The Catholic Herald has an announcement. 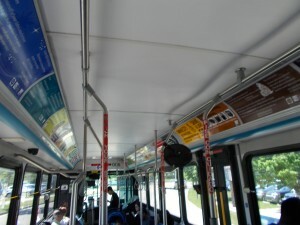 It is on the #6 bus line, but only every other bus goes there, you need a bus that is “via MATC”. Recently I talked to a 7 months pregnant homeless woman on State Street. She mentioned needing maternity clothes and baby clothes, and had other obviously real needs. I almost never give cash on State Street because I’ve been taken advantage of so many times, but I gave her some. I mentioned Pregnancy Helpline, which has a “sharing center” that helps moms in the Holy Redeemer school building, she was aware of that because there are meals for the homeless served in the same building, but thought the time they were open was a difficulty for her. I suggested the Women’s Care Center, and she had not heard of that, although she had had contact with the Salvation Army women’s shelter and a variety of other agencies that help the needy, over at least several months, no one had made her aware of that resource. I went home and printed information about the WCC, Care Net, and Pregnancy Helpline (with google maps) and went back to her on State Street. No one had made her aware of Care Net either. 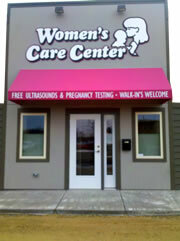 And once she had accurate info on the Pregnancy Helpline center hours they actually turned out to be do-able for her. She was in line to get an apartment through some agency, around the time she would give birth–that is a great mercy. She said she was mostly sleeping outside, except when the weather was bad and she would stay at Salvation Army. You get two months there and like many she was rationing her time. I have not had the chance to talk with this mom again so I don’t know if she made contact with those groups that I think would like to help her. Why would agencies not refer such acutely needy pregnant women to these organizations that offer help they need? Do the agencies not have the information about them? Or… is there some other reason why they do not want to send pregnant homeless women to crisis pregnancy centers that could help them? 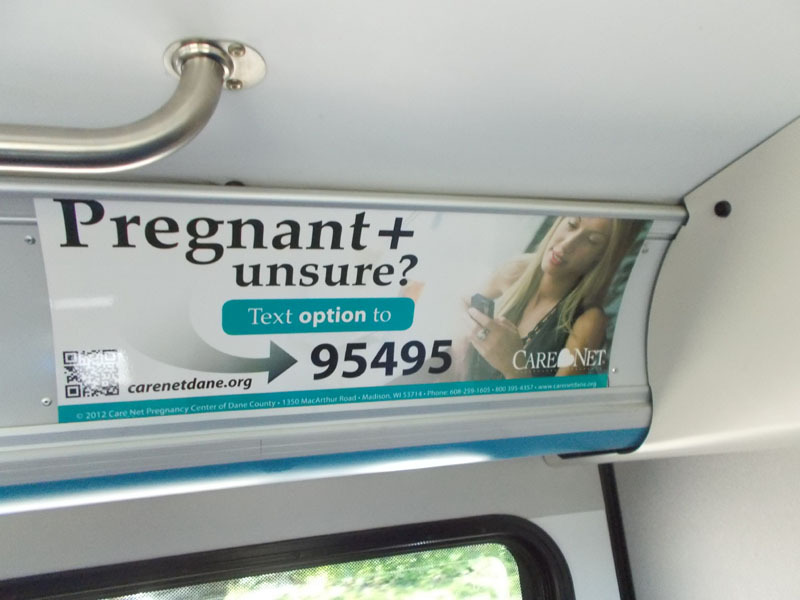 I often see Care Net ads inside the Madison Metro buses, which is awesome. Planned Parenthood has ads too; sometimes they are right next to each other, in a life and death battle. I took a picture of a Care Net ad yesterday, because it was placed by itself alllllll the way at the very back of the bus. 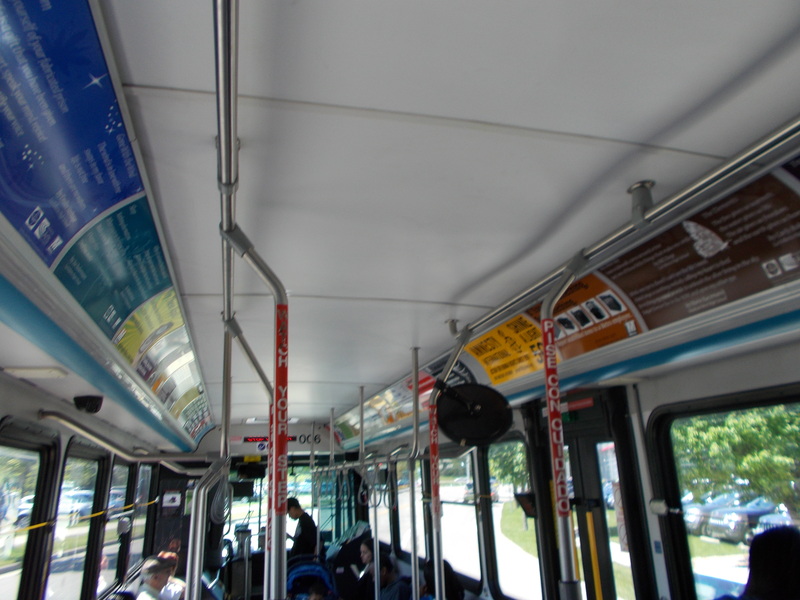 I actually only noticed it because I was actually thinking about Care Net bus ads and glanced around for one. There was a woman sitting under it. 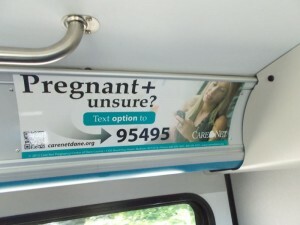 I'm sure it's true that women who are pregnant and unsure sometimes sit in the very back of the bus and might notice. It’s not that there was not space further forward. There were a very large number of signs about fares, exiting through the back door, not eating or drinking, one for Amnesty Int’l, and several “Bus Lines” student poetry contest ones. Same bus, looking forward. Hmm.